This is a new topic I seen in the Tennessean, and though it was pretty cool. What do you guys think will come of this, if anything. I know I live over here and it would be nice to clean that strip of Charlotte Pike up. This is great. That area seems to have so much potential, with the small stretch of historical buildings.. would love to see what it used to look like.. and what it could look like again. If anybody gets new information about this please share it with us in this thread in the coming months/years. I for one really want to keep track on what's going on in regards to this! Don't forget, this is also the area (at 46th) where the historic Church of Christ church may be replaced by a copy-paste drug store surrounded by parking. WW has been writing about that. you mean like a walgreens or cvs? Soiunds like Rite Aid is pulling out of the deal, so hopefully the church will be spared. Is the church in disrepair and/or not is current use? I hate to see a historic church be torn down for a Rite Aid of all things, but if it had to be I think being forced to make it fit into a the urban fabric of the neighborhood by pushing it to the street would be preferable to having another off-set business along the corridor -especially if there is movement to change future development in the area to a more old-school urbanistic style. The church was just abandoned recently, I believe they merged with another church. Not sure on the state of the building, however.. I assume its not beyond repair. One fantastic example of adaptive re-use of an old church is located at 47th and Charlotte in this district. The Darkhorse Theater is located in an old church and has provided a place for many of Nashville's outstanding Community Theaters to produce some of the great standards and many originals. It is a privately owned, for profit enterprise that adds to the arts and entertainment quality of Nashville in an important way. The most important aspect of having a resource like this, is that you are not bound by censorship rules that government owned theaters would apply. It is going strong and is unable to meet all the demand for time slots for various productions. It would be nice to see another space like this become available, preferably in East Nashville. ^Yes, I agree! I have been there once for an improv show, and it was fantastic. I also like the building. Glad to hear the place is doing well. I really hope they can revive Charlotte Pike all the way out to Hillwood RD. I realize the area right in front of Sylvan Park is the most logical place to start but I think with Nashville West you have a reason to make the entire stretch from Sylvan Park to Hillwood/Nashville West be as attractive as possible. I think the area between 440 and 40th avenue is desperate need of attention. 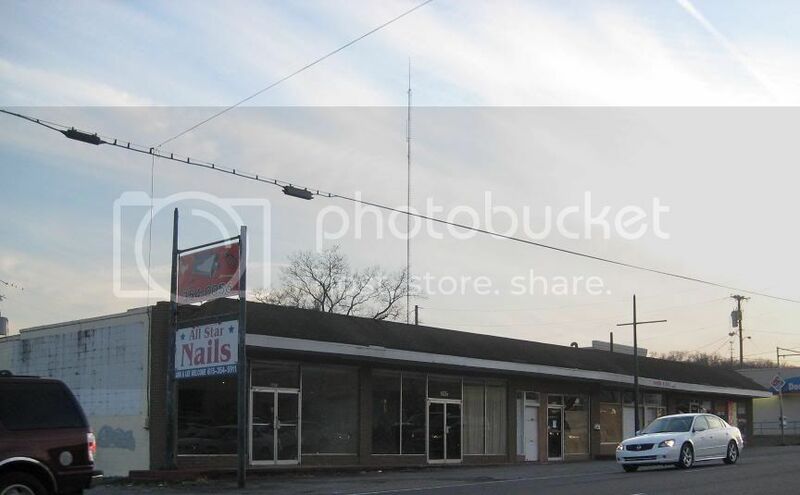 It consists of a few buy here pay here car dealerships and vacant lots. This are would be vital in connecting the 46th-54th district (I call it the Richland district) with the medical district wich is starting to tie into downtown. This is the area that runs through Sylvain Heights. With all of the action thats taking place in Sylvan Heights and now were starting to see development on the other side of Charlotte, hopefully it wont be long before developers take this area into consideration. I think this area would be nice as a blend of mixed use, medical, retail, residential would really fit right in being so close to the neighborhood yet so close to the flourishing medical district. Like most of you, I think it would be a tragedy if that area was lost to the same generic crap we see everywhere. I'm conflicted, as I'm a huge proponent of property owners' rights. However, it seems to me that so much gets demolished before it's appreciated. Maybe that's what the plan is good for. On this particular area of Nashville, I'm not familiar with it, but I've driven through there and have a feel for it. Actually it reminds me of the Poncy-Highlands in the 80s. When you look at that area now, you wouldn't believe how much it has changed for the better. It's all because of the urban fabric that existed there before the waves of redevelopment. It appears that you could have the same effect in West Nashville. I wish you guys lots of success in preserving what can be saved there. I saw in todays Tennessean that Right Aid has pulled out of the deal to buy the church. I wonder who will move in there now, the church members have relocated? I think Rite Aid has missed a golden opportunity to add a quality project to West Nashville. They could have preserved the older part of the building and utilized the classroom portion and the parking lot to thier advantage. I am sure there can be a compromise somewhere. It would be great if another community theater would locate in the building or if Metro could turn it into a community center. It would be neat if this area had a dozen or so theaters, art galleries or the like. You can be assured Rite Aid will build somewhere along that corridor now that the deal has fallen through. And the area discussed earlier near White Bridge, possible redevelopment happening soon? 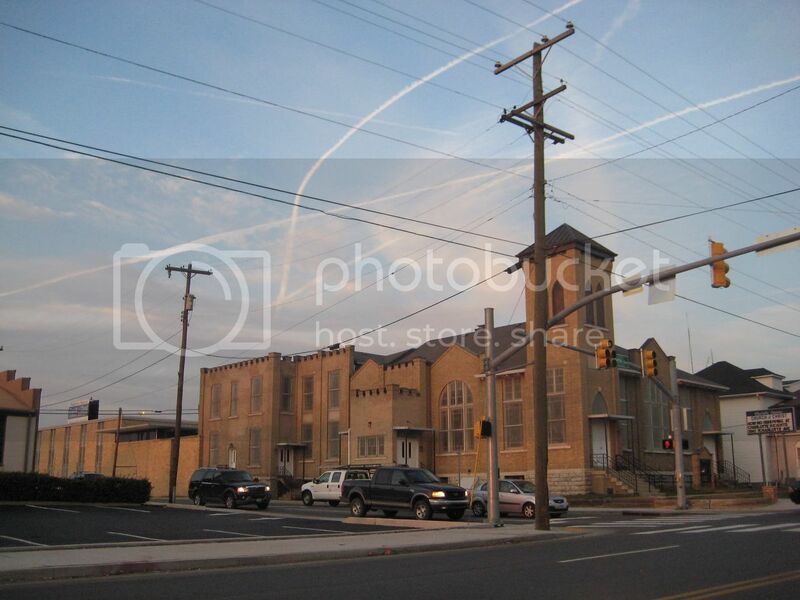 I recognize the church now thanks to Jice's pic and definitely glad the building has been given a reprieve. It's a nice structure whose character would be hard to replace, but it will have to find a productive use that allows it to be upkept, otherwise to watch it run-down will not be a good outcome. I think the odds are that the aformentioned strip mall may see new life with new structures. I hope so at least. Any details on the age of the church? How many square feet? It sure seems like it would make a great community theater building, but I'm sure those are hard to come by. That area looks like it used to be a so-called Taxpayer, which was a commercial strip in formerly outlying areas where the streetcars used to go. Taxpayer referred to the tax generations these strips contributed to pay for the urban amenities like said streetcars. If I not mistaken ATLBrain, I think there is an old church building close by that has been turned into a small performing arts theater. It's called Darkhorse theater. Not too aesthetically pleasing website, but the theater is pretty cool. I went to an improv there, and it was great!